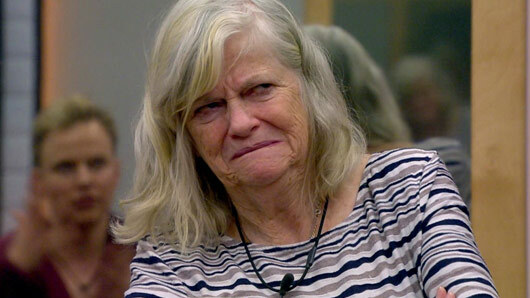 Ann Widdecombe has made yet another controversial remark in the Celebrity Big Brother house. The former Conservative politician has already come under fire for victim blaming women coming forward in the #MeToo movement and branding Meghan Markle “trouble” due to her “background”. The Celebrity Big Brother contestant has now upset viewers once again after making a comment about Shane Jenek and Andrew Brady’s bromantic relationship. During last night’s episode, the two men playfully wrestled in the kitchen area whilst Ann watched them disapprovingly. “Don’t be disgusting!” Ann replied. Later, Shane spoke to his housemates about what Ann had said. “I was mortified,” Andrew confessed. Over on Twitter, CBB viewers criticised the politician for her “homophobic slurs”.